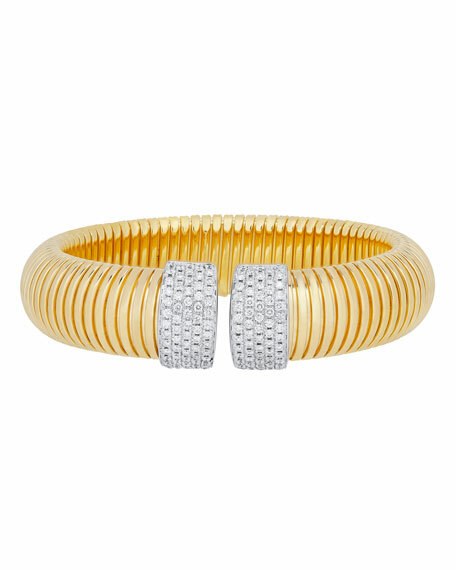 Tubogas cuff bracelet by Alberto Milani. 18-karat yellow gold with segmented design. Diamond end caps set in 18-karat white gold. 1.70 total diamond carat weight.